Technoglass know how and quality vocation crossing the european border to China. Technoglass recently cooperated with one of the most beautiful and spectacular hotel in Macau. 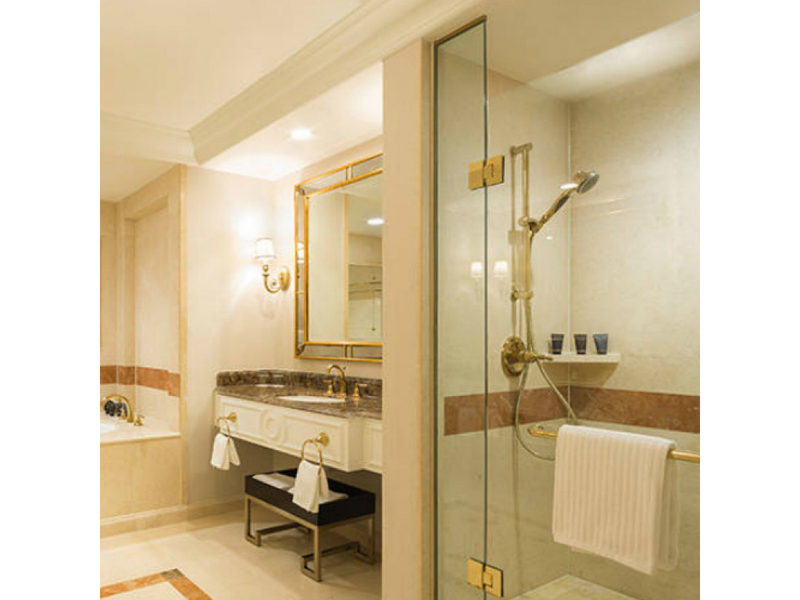 We manufactured gold plated hinges for the shower cubicles of 1.100 suites in the hotel. 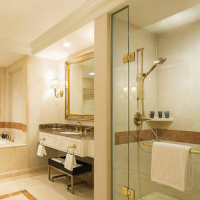 Precious details concuring to the fabulous accomation The Venetian Macau.